"The American television and video heritage is now at a crossroads. One direction leads toward catastrophic losses of film and videotape...Another direction leads toward the managed preservation of extant television and video materials that bear an important relationship to American history and culture regardless of their re-use potential or monetary value." The International Documentary Association sponsored the seminar "Are We Preserving Our Heritage for Posterity?" at Cine Gear Expo, held on the Universal Studios lot in Los Angeles, in June. Grover Crisp, vice president of Asset Management and Film Restoration Protection for Sony Pictures Entertainment, moderated a discussion with preservationist Rick Utley and nonfiction filmmakers Harrison Engle, Louis Schwartzberg and Ferne Pearlstein. The answers to the question posed by the seminar topic were both yes and no. Engle screened clips from his award-winning 1980s film The Indomitable Teddy Roosevelt, including historic newsreel footage dating back to the 1890s and the turn of the 20th century. Pearlstein showed film taken by Thomas Edison in Hawaii around 1903, which she used in her documentary Sumo East and West. Schwartzberg presented 25-year-old clips drawn from his own library from his theatrical release America's Heart and Soul. Crisp said that if film is archived in a proper environment that it would preserve visual memories for centuries. That was the good news. The bad news is that he predicted an average 10-year life span for analog and digital content, unless it is diligently migrated as new formats evolve. 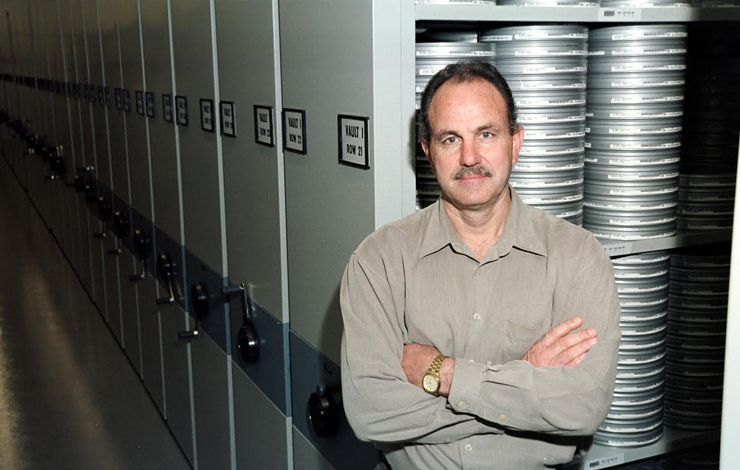 He said that more than 70 video formats have become obsolete since 1956. Utley is vice president of PRO-TEK Media Preservation Services, a Kodak company, which operates an archival vault in Burbank, California. He observed that approximately half of the motion pictures produced by the studios prior to 1950 are lost to posterity. The problem, he said, was that until television showed an interest in programming vintage movies, there was no financial incentive for investing in archiving. The stakes got higher when VHS players created a demand for home video libraries. "The turning point came in 1986, when Ted Turner handed Kirk Kerkorian a check for $1.2 billion for the MGM film library," Utley said. "Many people thought Turner was a maniac, but he awakened a sleeping giant. During the 1990s, we saw the arrival of the DVD. Today the MGM library is worth untold billions of dollars." Utley cited the Image Permanence Institute at the Rochester Institute of Technology, where long-term studies funded by Kodak established standards for preservation. He said that film properly archived in a cold (optimally 40 degrees Fahrenheit) and dry environment (approximately 25 percent relative humidity) will last for centuries without color dyes or bases shrinking. 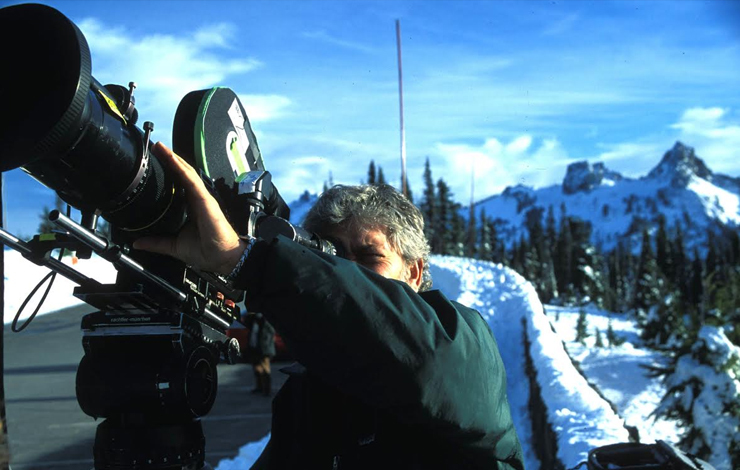 He concluded, "I realize that documentary filmmakers work with tight budgets, and they want to get every nickel on the screen, but if you want something permanent that can be seen, and maybe re-purposed for new display technologies, in 20 years, film is a far superior archival medium than any known analog or digital video format." When asked about the cost of archiving, Utley replied that a typical documentary, including outtakes, averaged less than several hundred dollars a year. Engle, whose documentary credits include Moshe Dayan: A Warrior's Story and Benny Carter: Symphony in Riffs, related his experience. "Over the years I've produced a number of films that depended to varying extents on archival footage," he said. "It is thrilling for the audience to see Teddy Roosevelt come alive through a century-old piece of film. During the mid-1980s, I made a conscious decision to store original material on the highest quality video format possible, which in most cases was one-inch videotape. Today, that format is gone, and there are very few machines to play it back. This is a personal example of how obsolescence of formats can affect you as a filmmaker." Pearlstein showed a clip from her film Sumo East and West, which examines Japanese-American cultural relations by chronicling the history of Sumo wrestling. "It was very important for us to find all these historical intersections between Japan and the United States," she said. "We found some incredible footage. 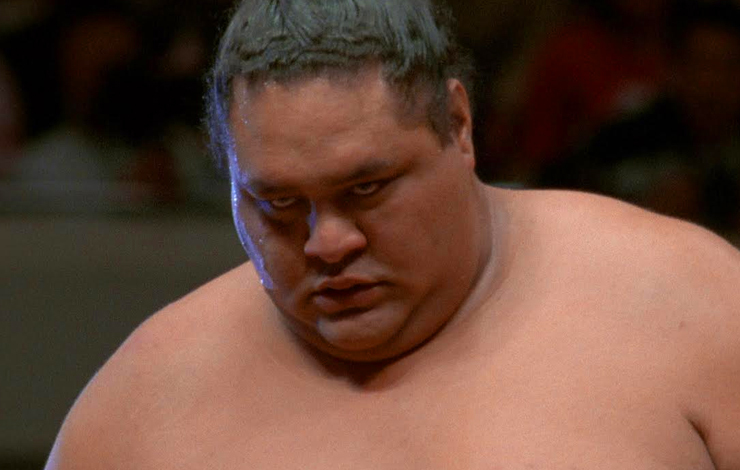 The way Sumo first came to the US was when Japanese workers came to Hawaii to work the sugar plantations. They brought their culture with them, and there were films and photographs of holidays and other events. But during World War II, Japanese-American citizens were persecuted and they tried to hide their culture. Many of them buried their photographs and home movies. When the danger passed, they were ruined or lost. "I was determined to find some images depicting this period," Pearlstein continued. "Almost by accident, a researcher at the Library of Congress and the National Archives told us about some footage that Thomas Edison had shot in Hawaii. The original footage had been stored in a warehouse that had burned down. But one print existed. That footage was crucial to our film, and it gave us a window into a world that would have otherwise been available only in writing. Filmed images, to me, are incredibly important as a way for people to connect with and understand history." Utley interjected, "It's ironic, because we live in a time when image technology has never been more powerful. But, there's a kind of black hole from which information cannot come back. In the future, we'll be able to look at feature films, and some television films, but TV news shot and stored on tape will be gone, either from the deterioration of the medium or due to the obsolescence of playback equipment. The type of images Ferne is talking about will be much harder to find, if they exist at all." Schwartzberg showed a montage of images from America's Heart & Soul. "I have always shot 35mm," he said. "I love the image quality, and looking back at the library I've built over the past 30 years, I'm glad I made that decision. I have footage of Liberty Weekend, celebrating the 100th anniversary of the Statue of Liberty, which I shot in 1986. At the time I had to fight really hard to convince the people who were putting on the event that it needed to be recorded on film for posterity. I received permission only three days before the event. Today, it's the only 35mm footage of the event." Crisp wrapped up the seminar by explaining the purpose of the new National Television and Video Preservation Foundation. He advised those interested to consult the foundation's website at www.ntvpf.tv. The foundation provides grants for the purpose of restoring and preserving documentaries and other independently owned TV content as a legacy for future generations. The foundation is a collaborative effort involving both public and private sector individuals and institutions. The creation of the National Television and Video Preservation Foundation (NTVPF) was the key recommendation in the Librarian of Congress' landmark report, Television and Video Preservation 1997: A Study of the Current State of American Television and Video Preservation. The report noted the lack of a national strategy to preserve 50 years of television and video history, and along with it, important aspects of our cultural heritage. David Heuring is a writer at Creative Communications Services. He is the former editor of American Cinematographer magazine.